Walkiversaries are a big deal around here. 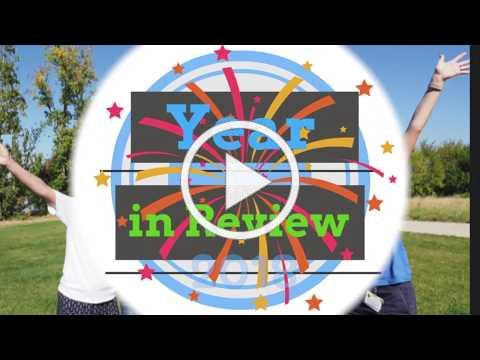 In 2019 we will be celebrating 194 first year anniversaries. Get out the paper! And, get this, 26 Walk Champions will be celebrating their 5th year of walking the Walk. Thank you to Dr. Jennifer Hone for kicking off this year’s Walkiversary celebration. Remember the Walk Romance story of Elaine and Craig? They met at Dr. Hone’sSanta Barbara Walk. 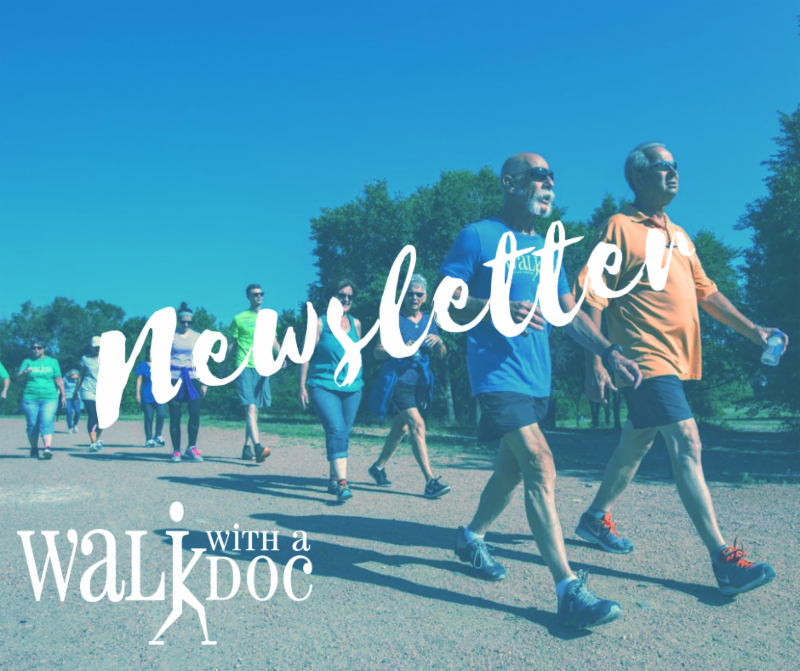 Here’s what Dr. Hone had to say about her Walk with a Doc experience. 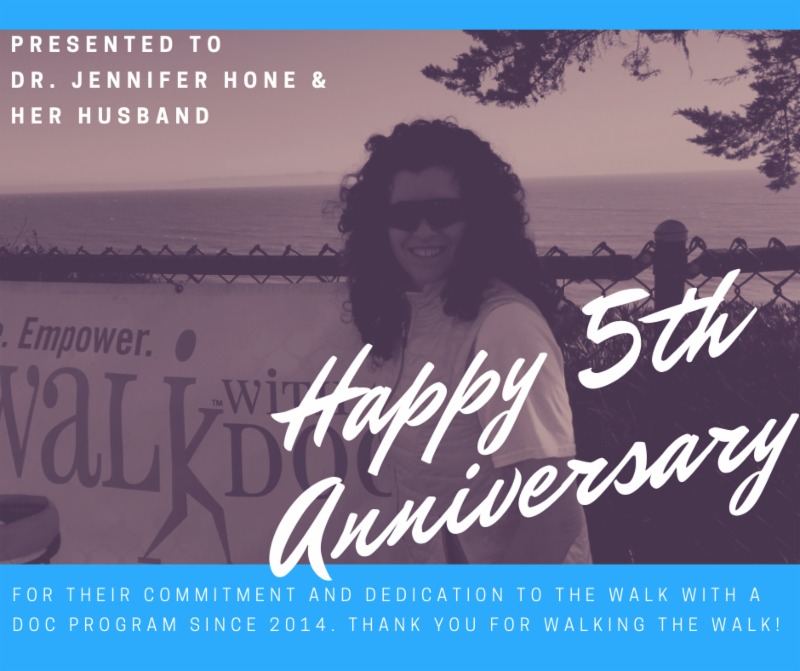 “Starting the Walk program in Santa Barbara began for me as part of a comprehensive diabetes prevention and treatment program that I was designing for a local urban Indian health clinic. 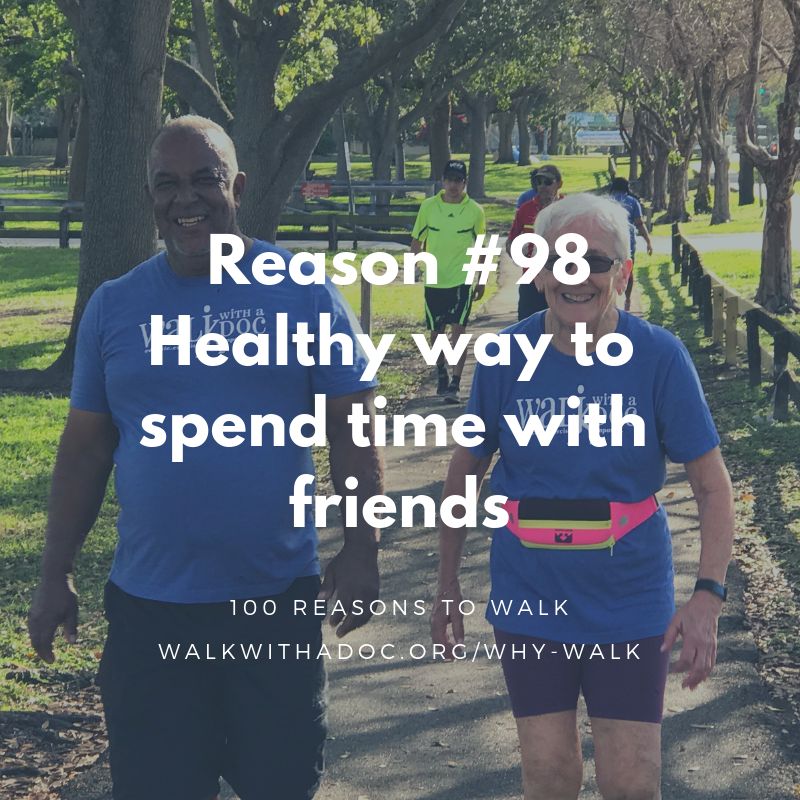 I thought I had come up with this novel idea of a community walk where a physician would lead a weekly walk and talk with community members and patients to encourage physical activity and health literacy. I was going to call it ‘Walk with the Doc’. Imagine my surprise to find I hadn’t invented anything new at all! I was thrilled to jump on board instead of reinventing the wheel. 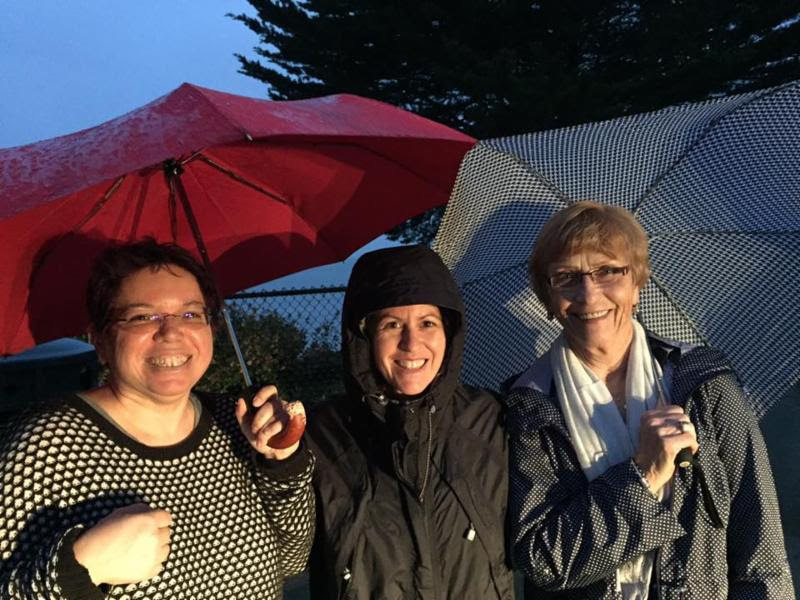 Since my departure from the clinic shortly after I started our walk, it evolved into a true whole community event, and has been as important for my own health, I believe, as for those who come and join. 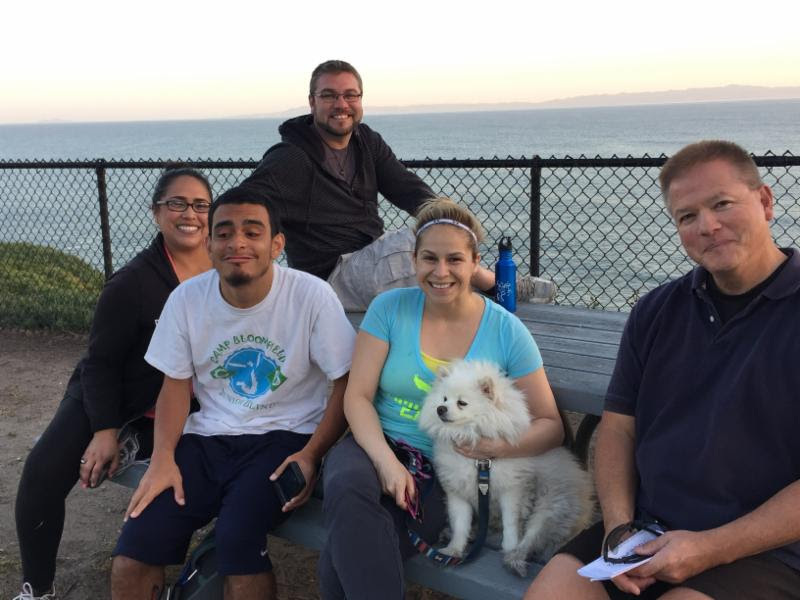 We have walkers who are regulars who have become good friends, really like family (they join us for Thanksgiving every year now), and those who come and go when they can, but all are always welcome. We walk at 6 pm, so it’s dark for 4 months of the year, but we go regardless! To accommodate those for whom darkness is a barrier, we started an additional monthly Saturday morning walk about 3 years ago that we thought would be a “winter only” event that just never quit, so now we walk 5 x per month! When I am out of town, a substitute leader is needed. We were fortunate for a couple of years to have a wonderful psychologist (and musician!) Dr. Dean Janoff lead many walks in my absence. Through it all, my husband John (not a doc) leads the walks, puts up the signs, etc. I’m so grateful. And he always attends,making sure no walker is left behind. I couldn’t do it without him. Thank you Dr. Hone and countless others for walking the Walk. You are inspiring your communities through movement and conversation! 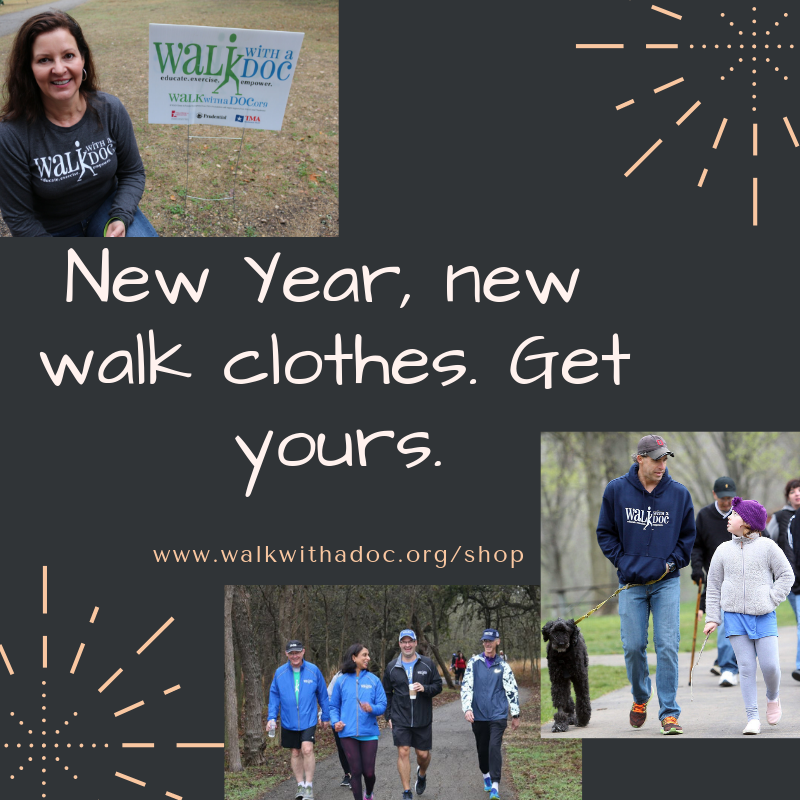 Walk with a Doc is changing lives and we need your help!